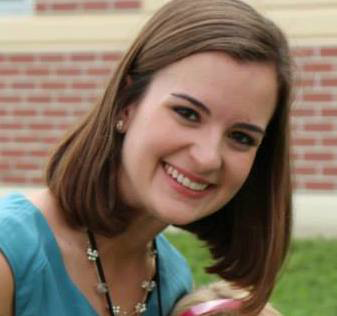 Fall is my favorite time of year! 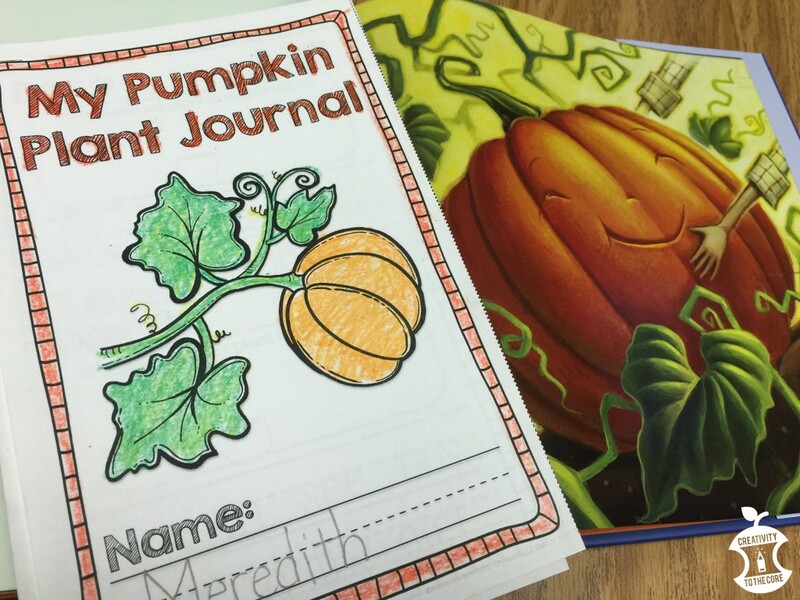 My students are working hard, we have established our rules and procedures for a month or so, and…we get to teach about pumpkins! Little Boo is a brilliant book that I just discovered last year. It is about a pumpkin seed named Boo who travels through many seasons of the year as he transforms into a pumpkin. Ladies and gentlemen, this book is amazing. Talk about content integration at your fingertips! This fiction story will allow your students to truly see the cycles that a pumpkin seed goes through to become a great big orange pumpkin. 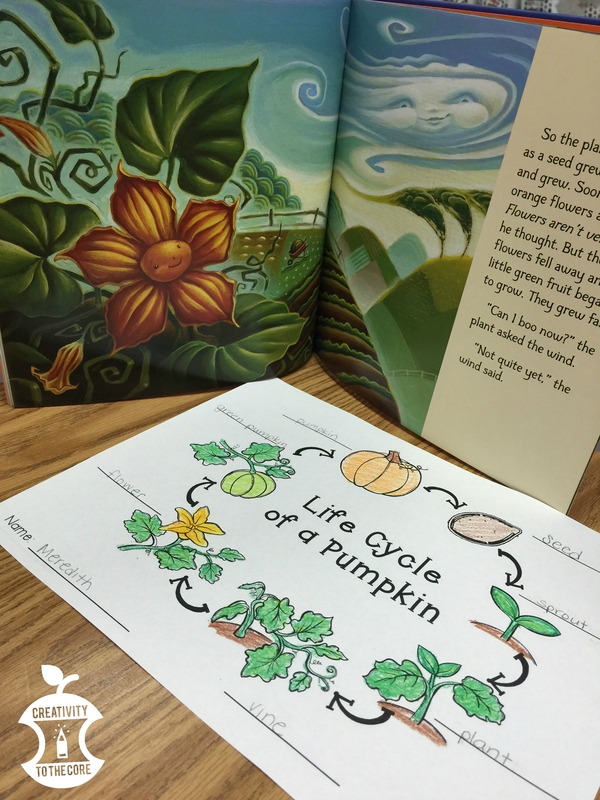 I plan to use this book as an introduction to our two-week pumpkin life cycle unit which begins in the middle of October. 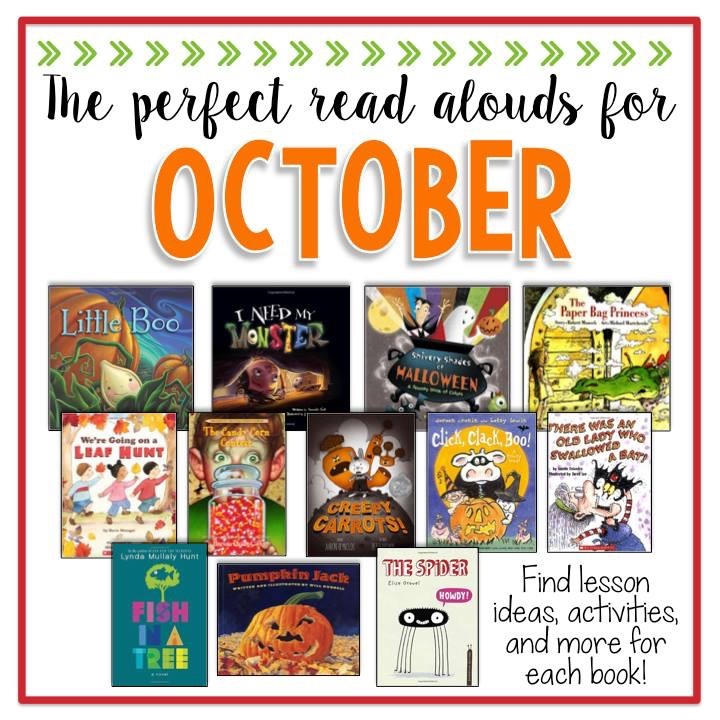 After reading the book, I will introduce each stage of the pumpkin and connect it to this text. During the last week of the unit, I always host “Pumpkin Day” for students and any parent volunteers. We transform the classroom into a pumpkin paradise complete with about 10 different pumpkin math, literacy, and science centers. On this day, the class plants individual seeds into a small clear cup at one of the center rotations. We water the seeds each day and watch the seeds grow into vines right in our windowsill. 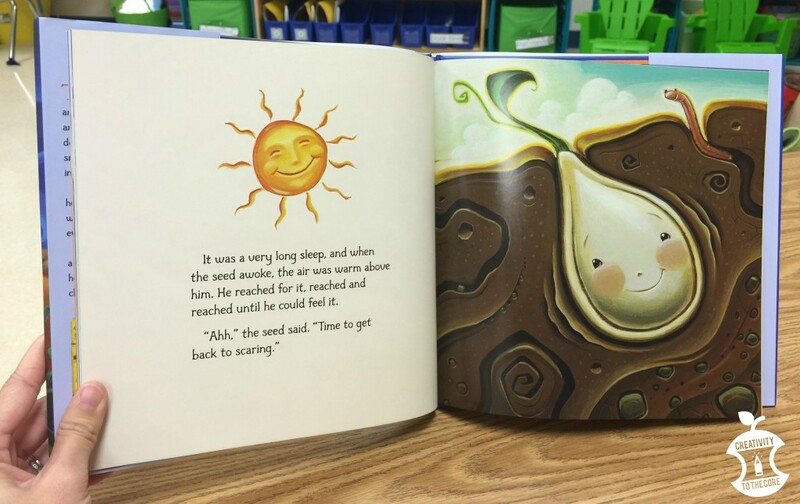 Little Boo is the perfect book to read as you begin planting because it describes how Boo needed rain and sunshine to grow into a big orange pumpkin! 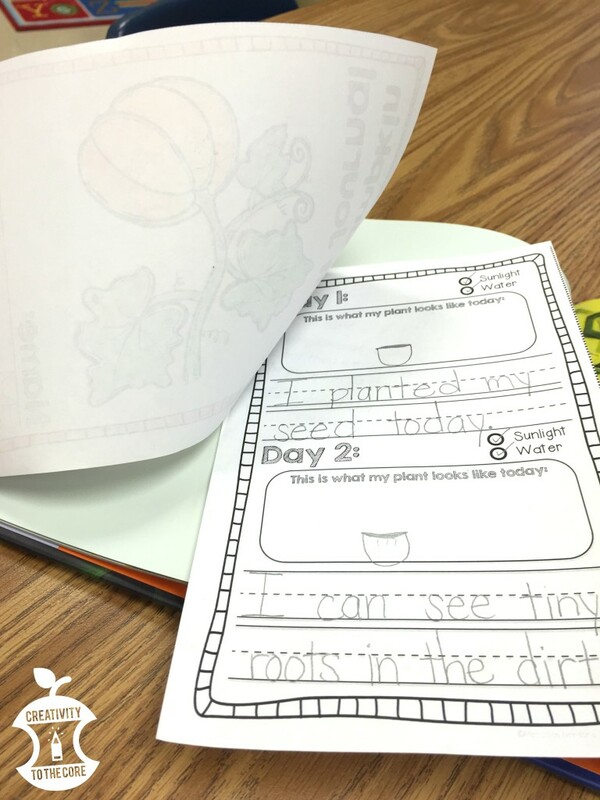 These plant journals (click the picture to see more) help my students to track their pumpkin plant as it grows each day. 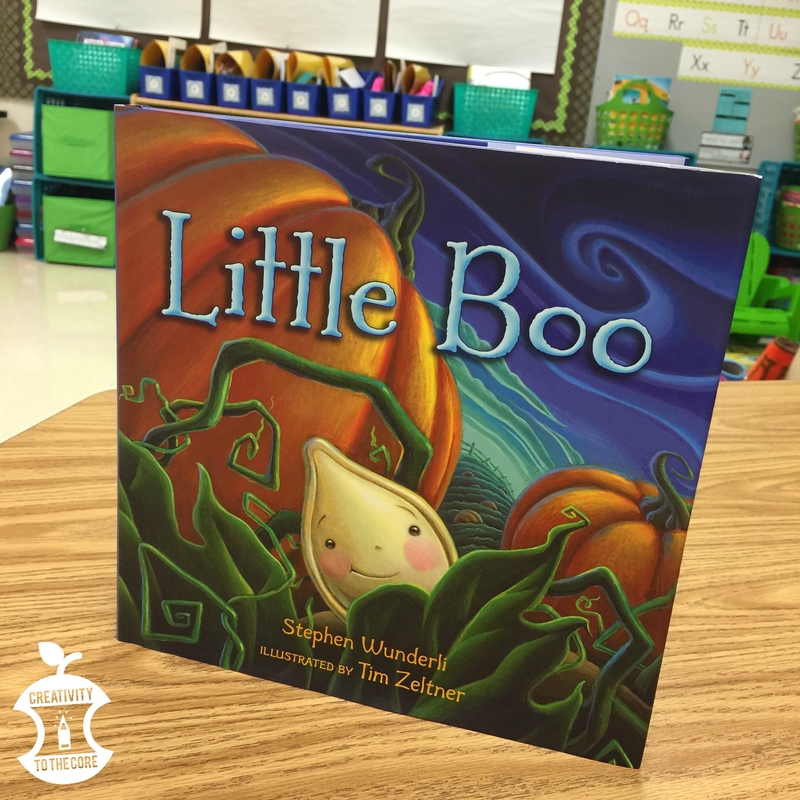 There are endless possibilities for this wonderful book about a little pumpkin seed! It will help to easily integrate science into your reading block. It will engage students with the beautiful illustrations. AND it will help your students understand the stages of the pumpkin’s life cycle. I am not being paid one penny to promote this book. However, I promise you, it will not disappoint! Head over to Amazon to grab a copy today and be sure to enter below to win a few books for yourself! Can you tell me where you got the amazing printables. I cant wait to dive into all these wonderful books! Those are from my Pumpkin Day product. 🙂 There is a link to them in this post. Thank you for the book recommendation! I ran out to Barnes and Noble and picked up a copy of Little Boo today! It is adorable and my class will love it! Yay! I’m so glad you are enjoying it!